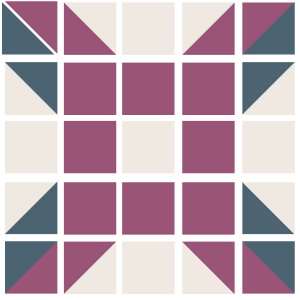 This is the archive listing of all Quilt Blocks in the Quilt Block Library assigned to the Patterns Category having a 5×5 grid. 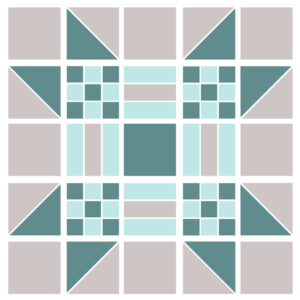 The Domino Chicken Foot Quilt Block if a five patch block, colored in such a way to form a square in the middle. 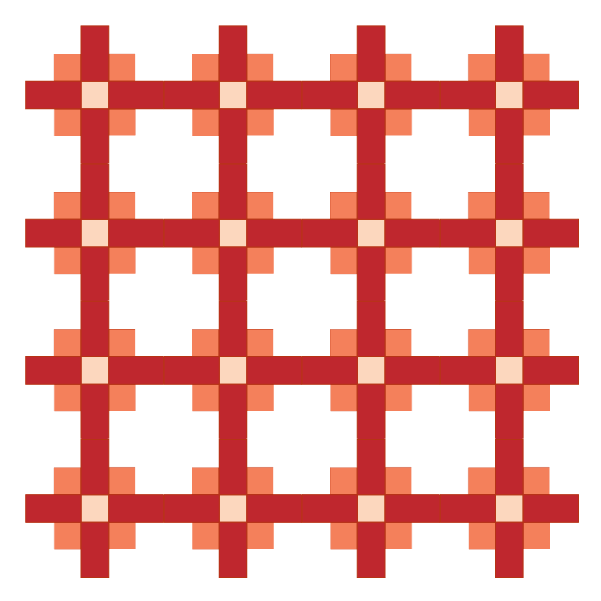 The "feet" of the block form elongated hexagons around the squares when multiple blocks are grouped together. 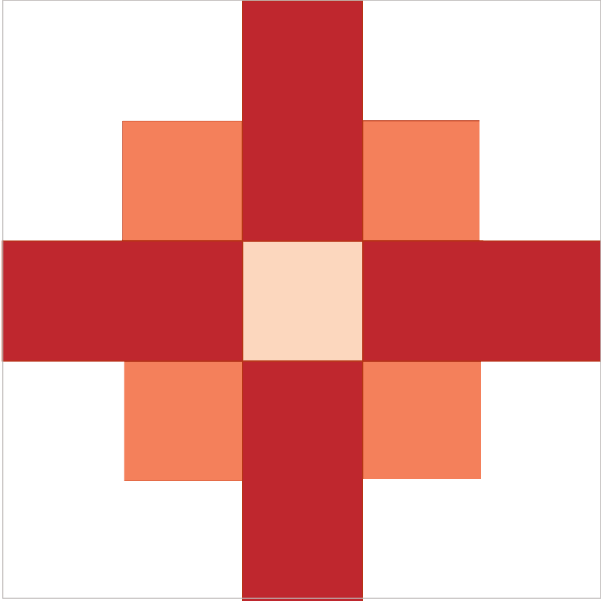 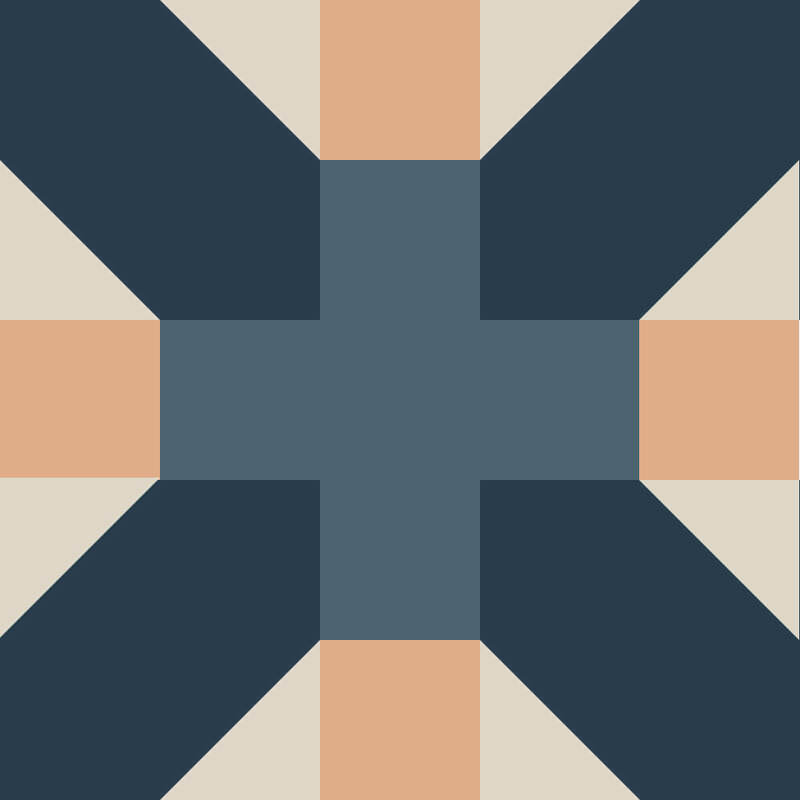 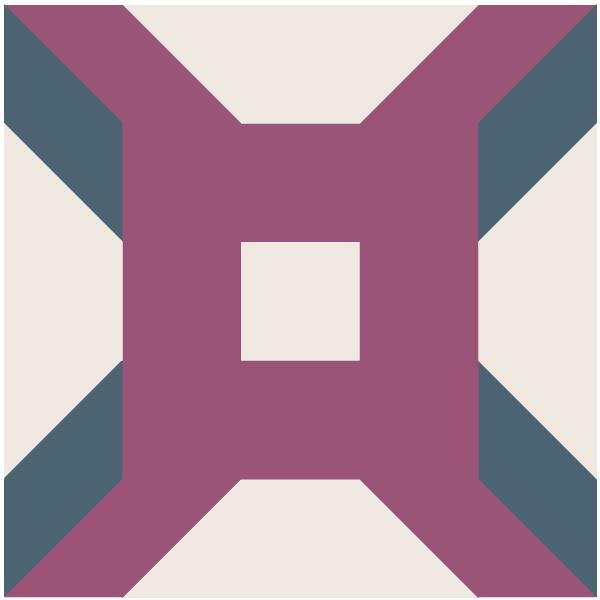 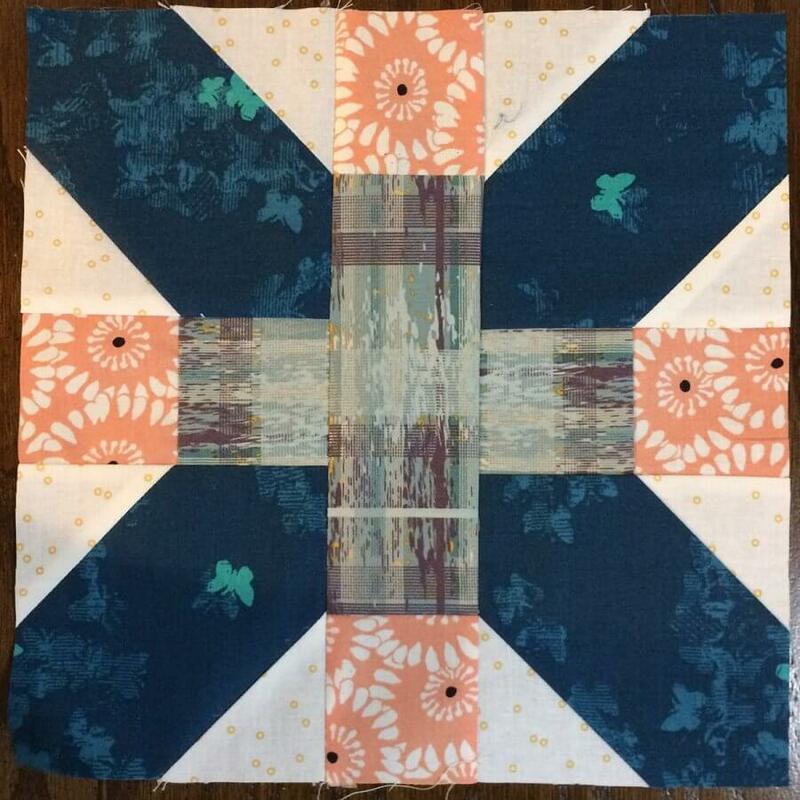 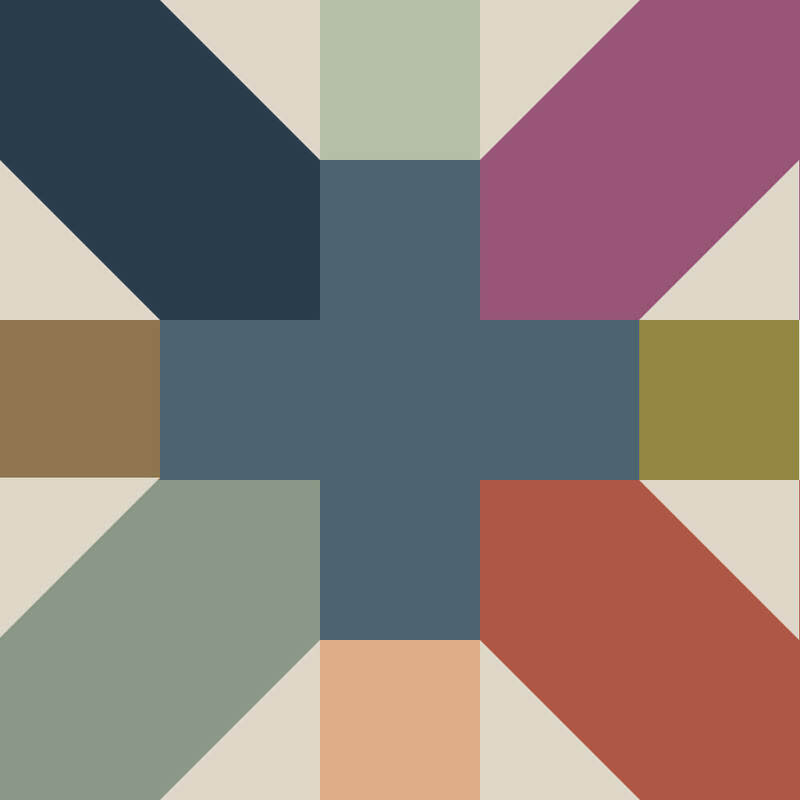 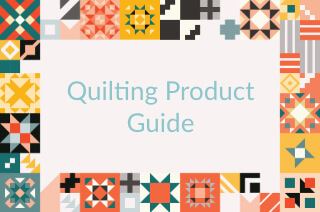 The X Plus Quilt Block is a 5-patch block with a central 'plus sign' design. 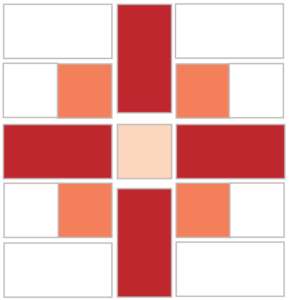 When blocks are arranged in straight sets, the corner units make an "X." 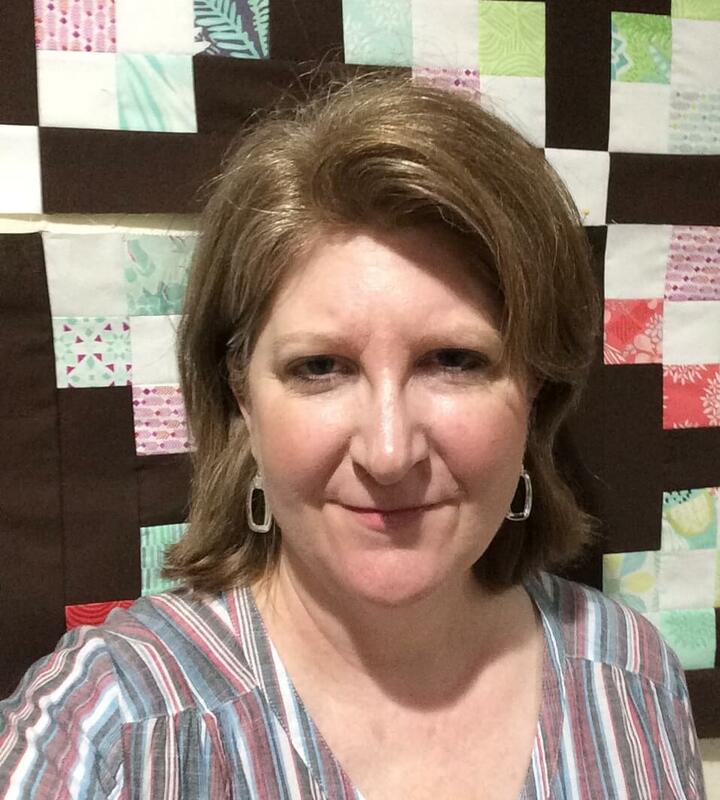 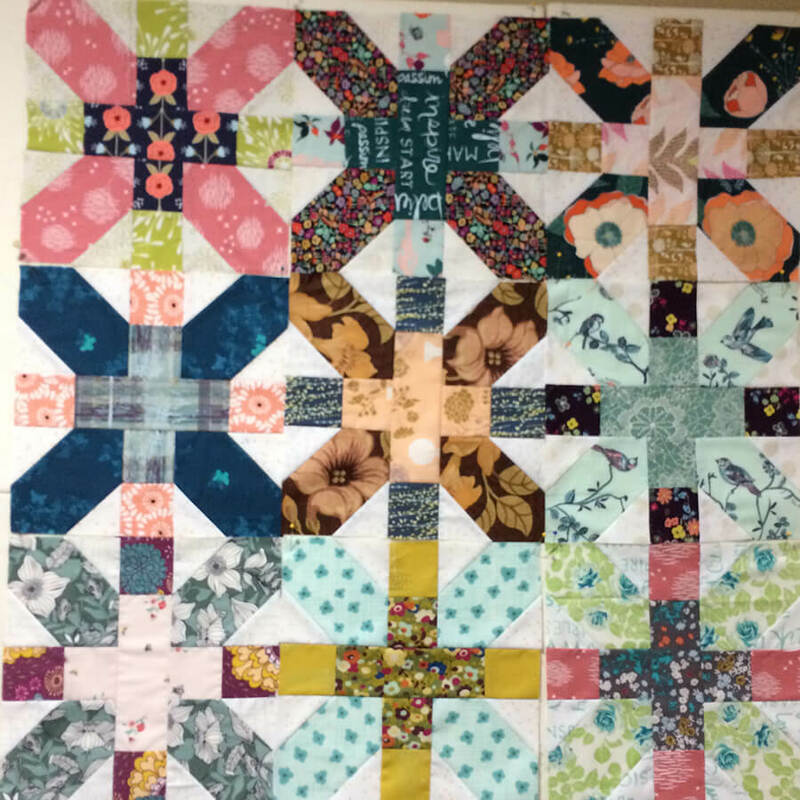 The block became fashionable among quilters around 2010 after a Japanese Quilter entered an award-winning quilt in the Tokyo Quilt Festival that featured the block. 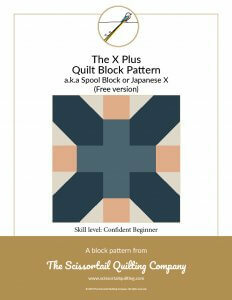 The original block design is attributed to Nancy Cabot (1938) under the name Spool Block, but it is also sometimes referred to as the Japanese X Block. 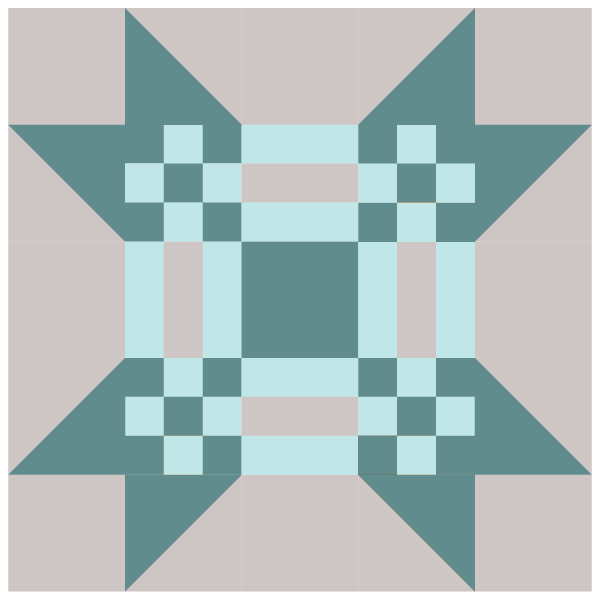 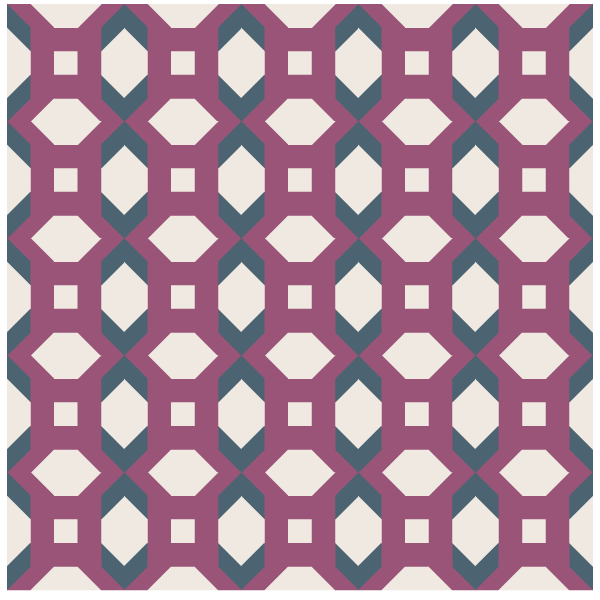 Click the pattern cover below to download the pattern for a 10" version of the X Plus Quilt Block.